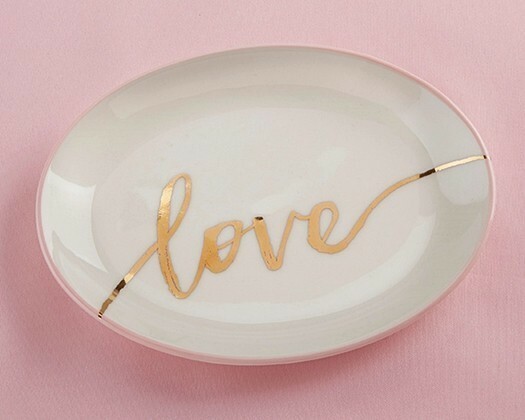 Dimensions: 4/5" x 5 4/5" x 4 3/10"
This oval-shaped white ceramic trinket dish features a script "loves" in gold foil spanning the breadth of the dish, and blush-pink edges to complete the look. Your bridesmaids will love having one of these dishes on their vanity to hold special little treasures. Hand wash only.